This is for every Hanson fan who has had to to sit there tight-lipped while being forced to endure someone butchering the chorus of "MMMBop" upon the discovery that, yes, they are your favorite band, and oh God no, please do not make me suffer through your own "boo-dop, yabba dabba doo" interpretation. Justice is served straight from the mouths of the guys themselves. 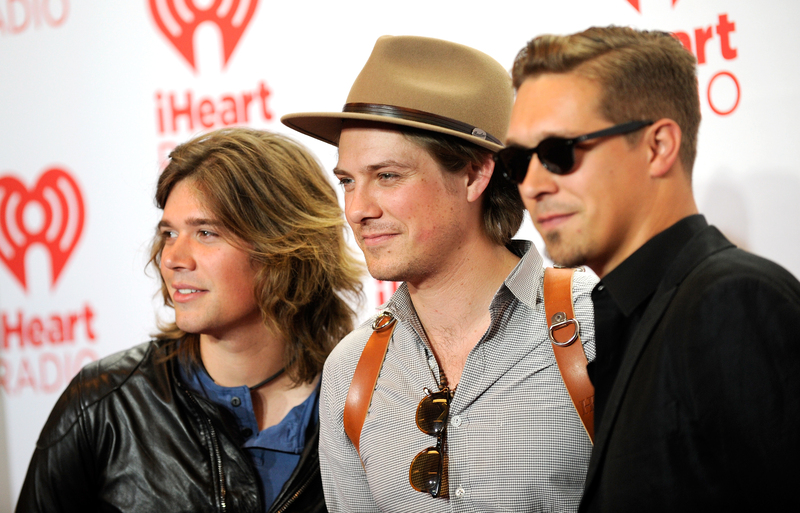 Hanson just revealed that you've been singing "MMMBop" wrong for 20 years — something that every single fan out there can attest to. (While the majority of us were introduced to "MMMBop" when it was officially released as a single in the spring of 1997, it's been 20 years since the band's self-released demo of the track.) In an interview with Vulture about their smash hit, the band revealed that they haven't been satisfied with any covers of the song, mostly because artists just keep effin' it all up. Explains Isaac: "You know why? People can’t sing the chorus right. Most of the time they syncopate it wrong." To be fair, Hanson fans will be the first to point out that the guys (Taylor in particular) aren't always the best at enunciation. And when the chorus is made up of, well, made-up words ("mmmbop" stands for an unrepeatable moment in time, FYI), I get that it can be easy to shorten words or replace them with whatever it is that you're hearing. But when you're covering another artist's song, you probably want to get the lyrics right. And given that there are countless lyric sites out there to help you with this problem (even in 1997, eight-year-old me was capable of reading the lyrics in my Middle of Nowhere cassette booklet), it's time stop being lazy and start using Google. And chances are you'll probably be pleasantly surprised at what you discover. Because when you actually take the time to learn the lyrics to "MMMBop," you'll find that it's a shockingly poignant song about the passage of time that's cleverly packaged in an infectious bubblegum pop hit with an upbeat chorus. While the lyrics are just a short Google away and "MMMBop" has collectively been stuck in everyone's heads for a solid 19 years, this notion is still so surprising to some that headlines like "The Dark Truth About Hanson's 'MMMBop'" are still being published today. "Someone needs to either make it totally their own in a genuinely unique way, or it needs to be a band that has a sensibility for old R&B," Taylor commented. "Fitz and the Tantrums could maybe do it …" "If Bruno Mars were interested, he’d probably find a way to kill it," Isaac remarked. Until that happens, I'll settle for being in the crowd at a Hanson show, surrounded by people who not only know every word to the song, verbatim, but also every single beat, riff, and note — rhythms that are so ingrained in the fandom that the entire audience collectively moves as one. Because in an mmmbop, we're still there.